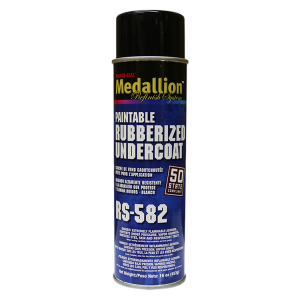 A premium grade rubberized undercoat that provides rust protection and sound deadening as well as sealing out dust, fumes, heat and cold. This undercoating can be applied to a uniform light texture or a pebble like texture depending on application technique. RS-582 Paintable Rubberized Undercoat is paintable in four hours.